Redi Carpet is excited to announce the acquisition of Bonded Inc., a San Diego based floor and window covering company. Bonded Inc. has been serving the San Diego multi-family market since 1975 and will now operate as Bonded – A Redi Carpet Company. This is Redi Carpet’s second transaction in the San Diego market this year. 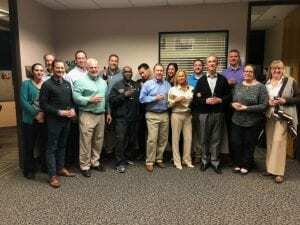 Last month, Redi Carpet acquired G.B. 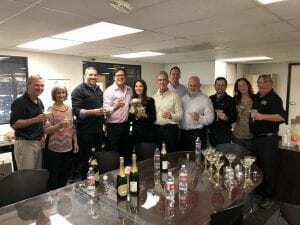 Sales to expand its national footprint into California. Redi Carpet, the largest multi-family flooring provider in the nation is expanding its geographic coverage by opening a new location in Cincinnati, Ohio. This new location strengthens the Redi Carpet portfolio and offers quality flooring products and services to multi-family customers in the region. The new location expands Redi’s footprint to 26 branches, 19 states and the District of Columbia. “The decision to expand our presence into Cincinnati region was a logical step in our business growth strategy,” said Brian Caress, President. “The area is fertile with multi-family customers. Not only do we have the opportunity to further expand our national presence, we will bring unique value-added services to our multi-family flooring customers that are not currently available to them.” “This is an exciting time for Redi Carpet and marks a huge milestone for the company, its employees and customers who will all benefit from our new presence in the region.” added John Hagan, Senior Vice President, Western Region. In addition to having the largest in-stock selection of flooring products, Redi Carpet offers it’s Cincinnati customers online account services, electronic invoicing, and Redi-Link proprietary diagramming software. 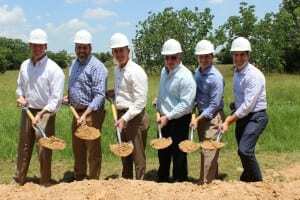 We’re excited to announce the groundbreaking of our new facility in Houston! This 100,000 square foot, state of the art facility, will house both the Houston branch and Branch Support. It is slated to be completed in the Spring of 2019. 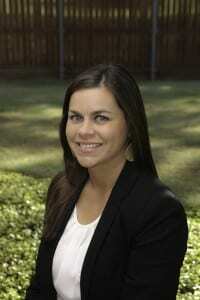 Carrie Gebhart will assume the role of Director of National Accounts at Redi Carpet. Carrie will solicit business from the largest owner/operators in the multi-family industry and expand the Redi Carpet portfolio. Carrie brings with her over 18 years of experience in the multi-family housing industry and has a remarkable track-record of excelling at her previous roles as Group Vice President of sales for CORT Furniture and BG Staffing as the Vice President of Sales. She has held many leadership roles in Apartment Associations and currently serves on the Apartment Association of Greater Dallas Board of Directors, the Texas Apartment Association Product Service Council and is a committee member of the National Apartment Association. 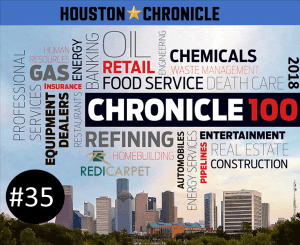 Redi Carpet has once again been named as one of Houston’s top private companies by the Houston Chronicle. Moving up 7 spots from last year’s ranking, Redi comes in at #35 on this year’s Chronicle’s list. It marks the sixth straight year Redi has received this recognition.